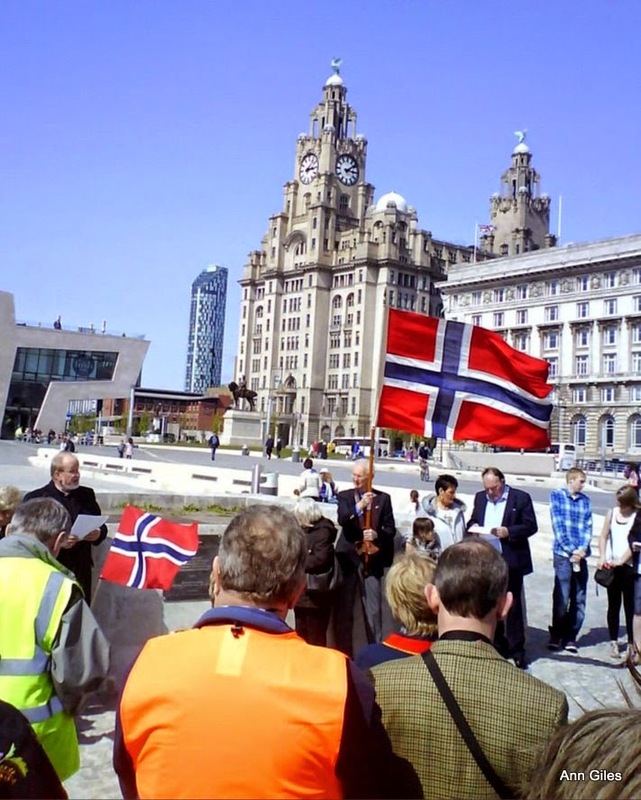 Like Norwegians everywhere, the Liverpool International Nordic Community (LiNC) will be celebrating 17 Mai - Norway’s national day. With the usual festivities, the celebrations will be including an exploration of a Norwegian TV phenomenon becoming more popular around the world. LiNC is based at the Nordic church on Park Lane just off the city centre (and under 4 miles from Anfield and Goodison Park), built in 1884. It caters for all Nordic nations, ex pats, visitors, descendants and friends, acting not only as a place of worship but as a cultural centre. It caters for all Nordic nations, ex pats, visitors, descendants and friends, acting not only as a place of worship but as a cultural centre. 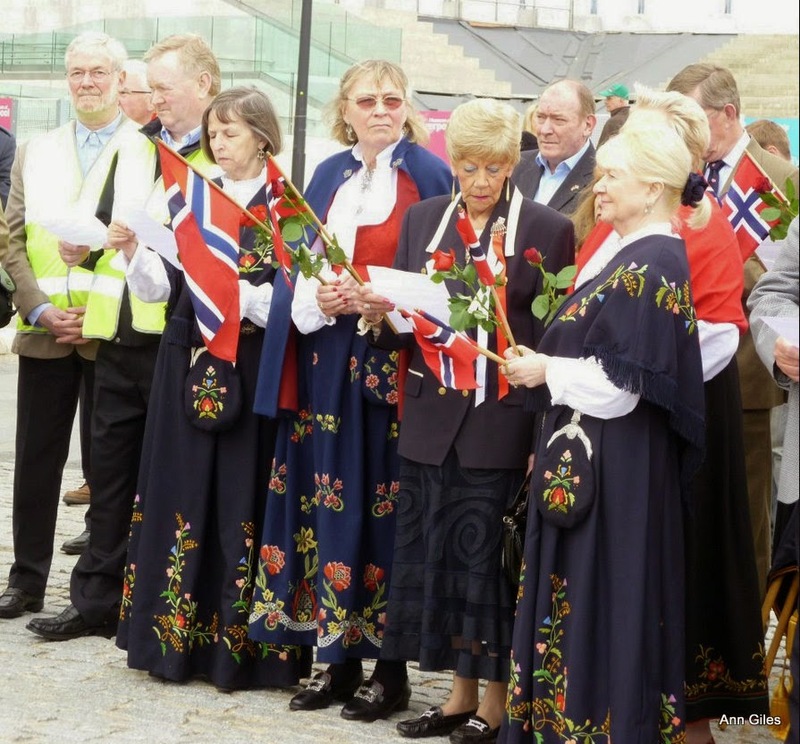 This year, as usual the Nordic Church will gather at the memorial on the Pier Head on Liverpool’s famous Waterfront, followed by a parade to the church - and as typical of ‘17 Mai’, inclusive enjoyment of things Norwegian. During the afternoon a 29 minute documentary about a style of television from Norway now called Slow TV - will be screened, with a short talk and questions and answers with its producer and director who has been researching the story of Sakte TV for the past year. 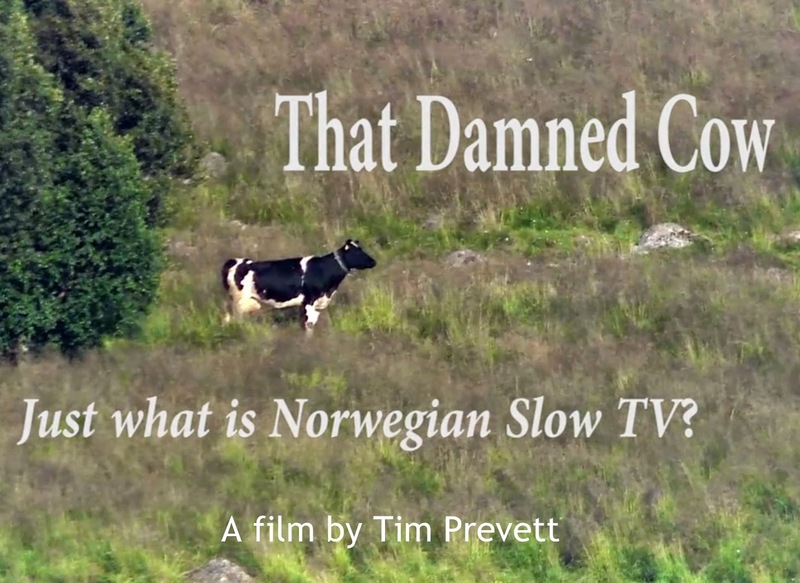 “That Damned Cow - Just what is Norwegian Slow TV?” explores the genre’s story interviewing producers, participants and distributors of some of the best known shows with interviews in Oslo and Bergen. Filming behind the scenes at the last Slow TV event in Norway in Trondheim, the documentary maker, Tim Prevett was interviewed live on national TV and also by BBC Radio Stoke about his film making. Tim comments “What sets Slow TV apart from other kinds of TV is that it is more relaxing and when done in a way which allows public participation a kind of magic happens where people bring their own content to a broadcast. Slow TV is about a journey or activity being celebrated in the time it actually takes to do it. Not with bits cut out or sped up. That’s what makes it ‘slow’. With BBC4 Goes Slow in early May in the week of a General Election and an American Slow TV production in November on ‘Black Friday’, this sort of telly is about to get a lot more attention. With Slow TV recognised as a Norwegian cultural export I’m delighted in celebrating Norway with a screening of it at the Nordic Church in Liverpool for Syttende Mai”. 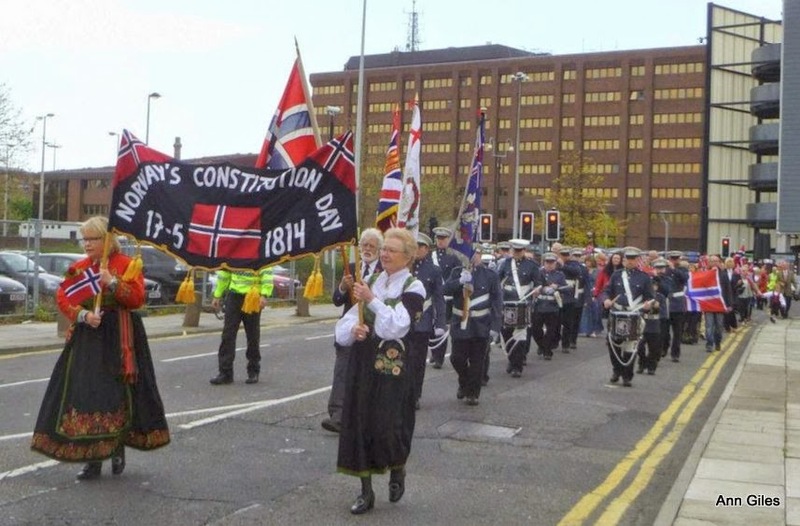 The event in Liverpool starts at 1pm with a wreath-laying ceremony at the Norwegian memorial plaque at the Pier Head, followed by a parade to the church where refreshments will be served. Some people choose to await the parade at the church. Then at 2:30pm approximate there will be a short talk and screening of “That Damned Cow - Just what is Norwegian Slow TV?” - estimated finishing time 3:30pm. Should it be necessary a second screening will be at 3:45pm. Photographers / media will be welcome at the Pier Head, during the parade or at the church upon the parade’s arrival there.